Welcome to Mallon Solicitors. We are a well established legal practice providing legal solution to our Clients with a cost effective and Client focused ethos. We strive to provide the best Legal care to our Clients and have achieved a Gold Standard, for the past number of years, in the Q6000 audit and accreditation programme which is certified by the Institute of Legal Research & Standards. We believe that our experienced team is a resource for the benefit of the Client and we use sound judgement and a practical and efficient approach to all legal matters which has forged long lasting Client relationships. Commercial conveyancing, residential conveyancing, landlord & tenant law. Our services include investigation of Titles from all parts of the Country in both residential and commercial transactions. 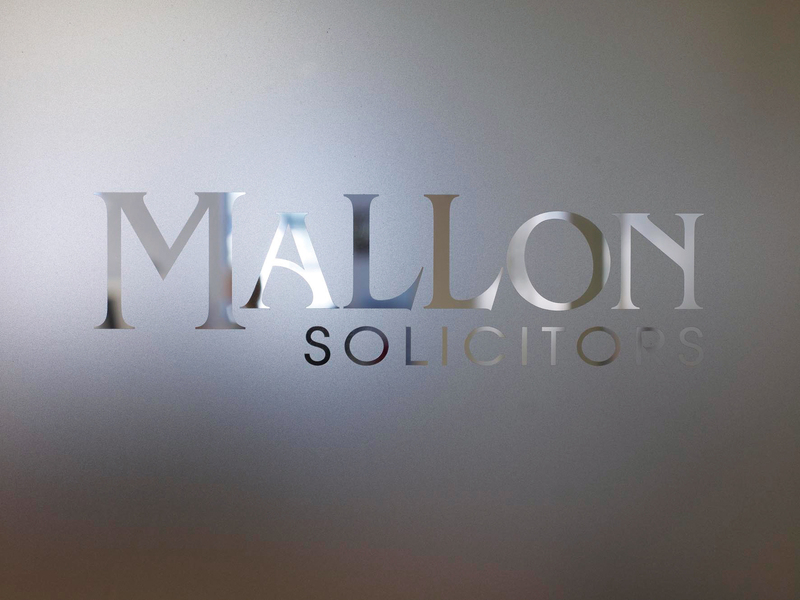 Mallon Solicitors have substantial experience in this area of practice and we place a strong emphasis on delivering effective and practical solutions to all manner of legal disputes. Risk Evaluation is a central component in how we approach all forms of Litigation. Our Commercial Litigation and Dispute Resolution Department advises on a broad range of contentious and regulatory issues. We represent many domestic corporations and institutions with regard to all aspects of Litigation and Dispute Resolution. We also have extensive experience in bringing and defending actions at all Court levels. Our Family Law Department provides high quality legal advice on Separation, Divorce and related areas. The department has vast experience in the negotiation of detailed settlements, and also advise on alternative courses of action as well as handling Separation, Divorce and related proceedings through the courts, where necessary. Mallon Solicitors have a wealth of experience in this area. A cost effective and prompt resolution plays a prominent role in what can be a challenging and sensitive area. Tax Planning is approached in an innovative and efficient manner, with the client’s peace of mind paramount. At Mallon Solicitors we operate across a wide practice area, advising our clients on all aspects of Employment Law and practice. We act for both the Employer and Employee. We advise our clients on matters including recruitment, bullying, harassment, equality and terminations. We also advise on Employment and consultancy contracts and Employment policies and procedures. We advise clients from a variety of businesses including restaurants, hotels, off-licences, clubs, nightclubs, bookmakers and auctioneers. We frequently advise on and prepare Court Applications in relation to matters such as Licences for special exemptions and events. We also prepare Annual Renewal Licences for a number of local and national businesses. We at Mallon Solicitors have experience in all aspects of Company and Business Law. Our corporate services are geared to assist clients in managing their business from incorporation to company secretarial matters including share structuring and advising on all aspects of Irish company law. Seamus holds a BCL from University College Dublin and qualified as a Solicitor in 1978 and then went on to establish Seamus Mallon & Co. Solicitors in Castleblayney 40 years ago. Sinead graduated from University of Limerick with a BA in 1994. She was admitted onto the Roll of Solicitors in 1998. Sinead initially worked in Monaghan and Donegal before moving to Mallon Solicitors in 1999. Sinead holds Diplomas in both Property Tax and Commercial Law. Rory graduated from University College Dublin in 2001 with a Degree in Business and Legal Studies. Rory joined the firm in 2005. Rory holds a Diploma in Commercial Conveyancing and a Diploma in Employment Law. Fiona is a Legal Executive and holds a M.I.I.L.Ex Legal Executive. Fiona joined the firm in 1999. Fiona holds a diploma in Family Law.